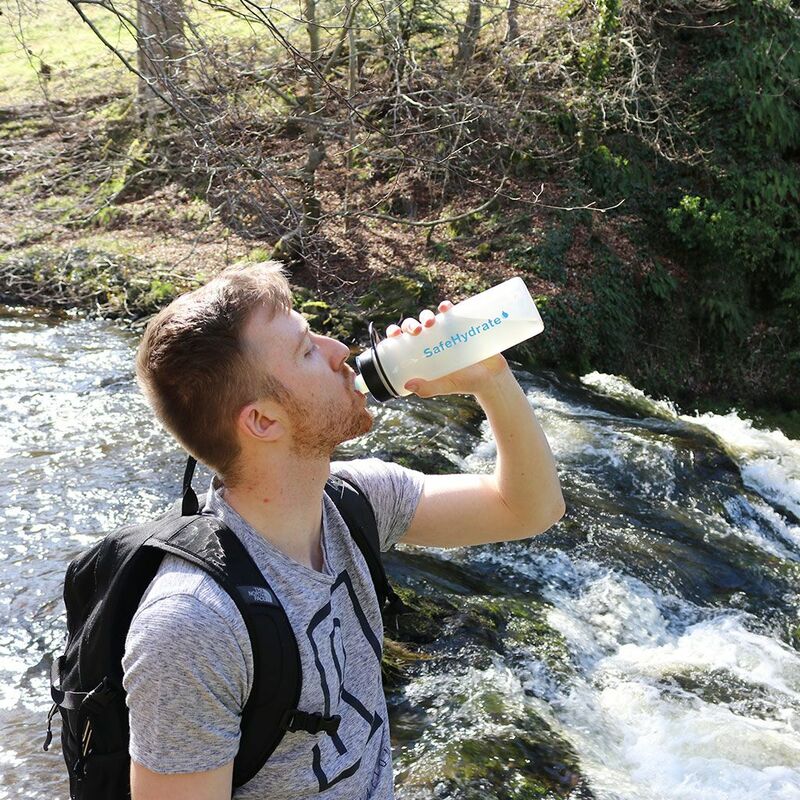 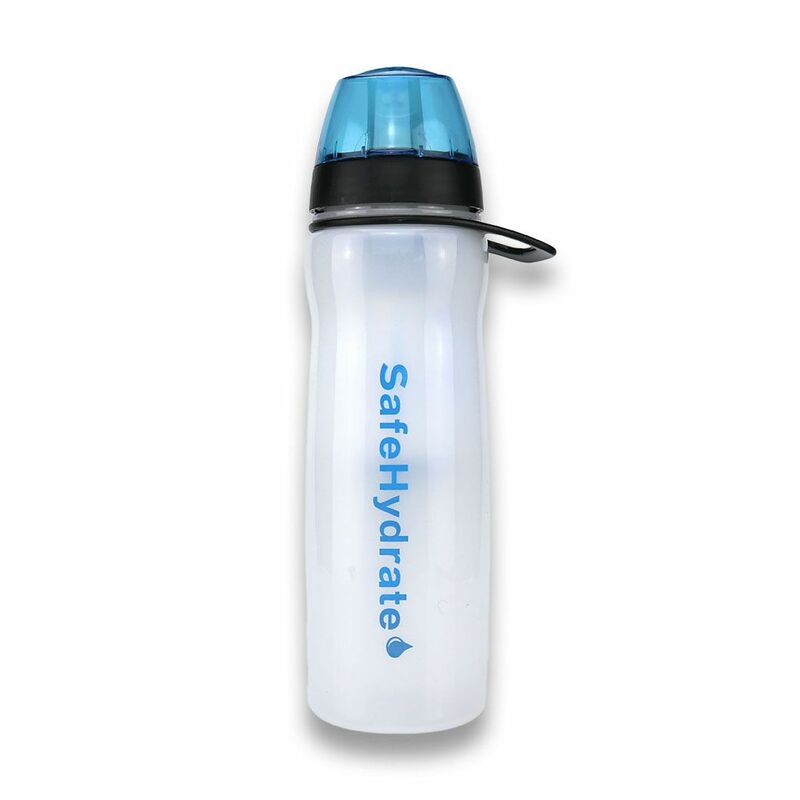 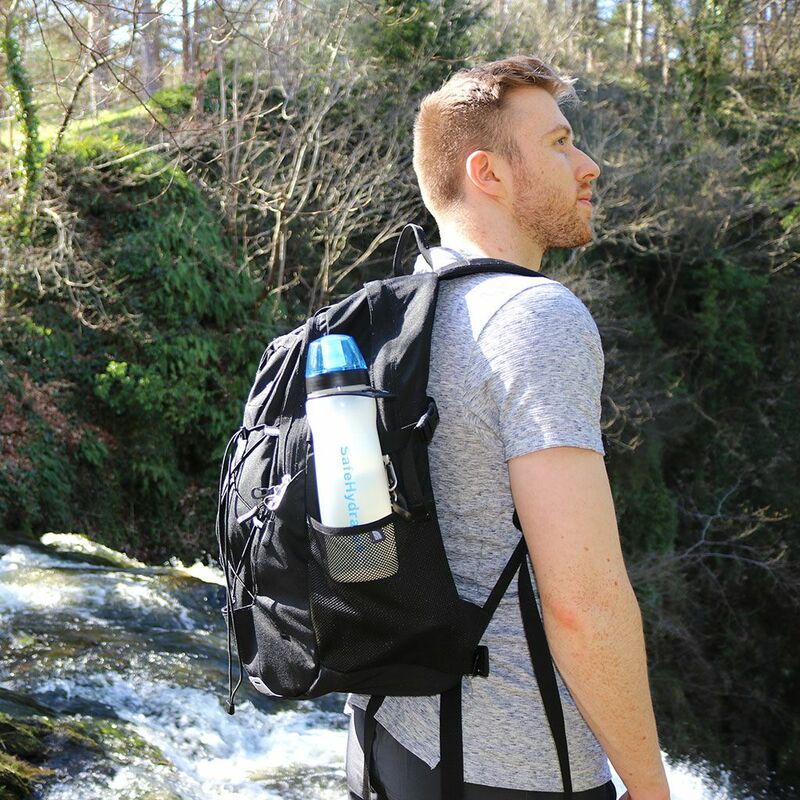 Designed for outdoor enthusiasts, the Pyramid SafeHydrate Water Filter Bottle is the perfect way to enjoy great tasting, filtered water on the move. 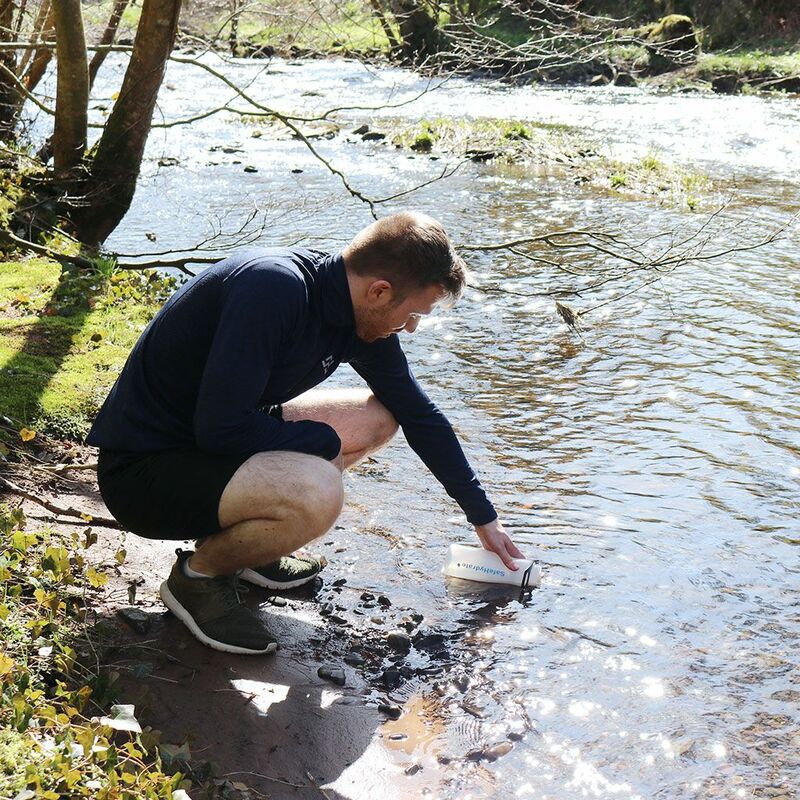 The system assures you of a thoroughly tested and proven level of biological protection that includes protection from bacteria, protozoa and chemical and biological toxins. 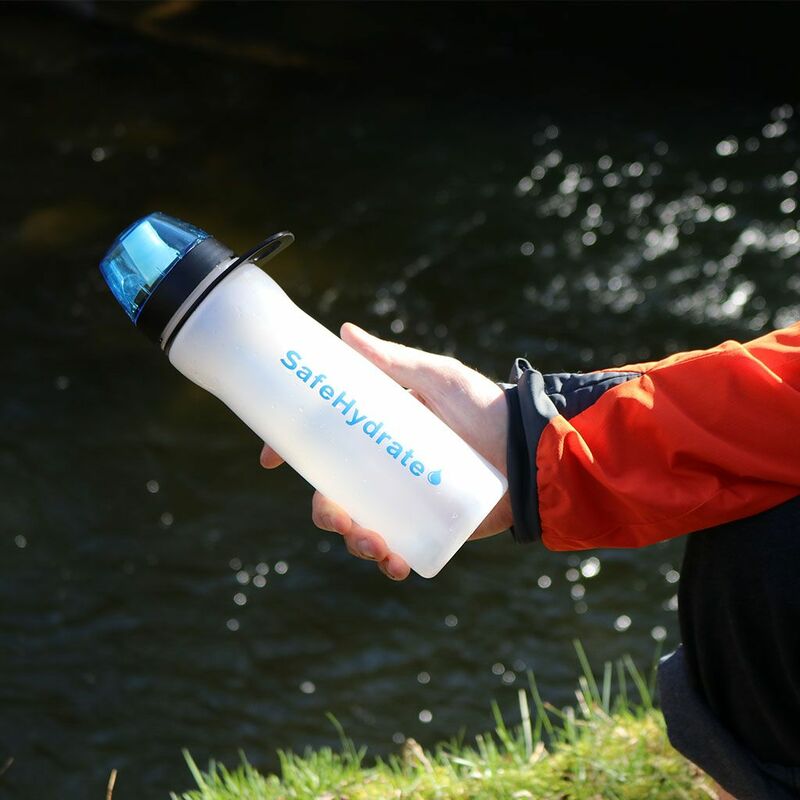 The bottle is BPA free, fits into standard cup holders, backpack pockets and bike cages. The simple easy to use bottle has a fast flow and stays clean thanks to the sturdy protection cap.